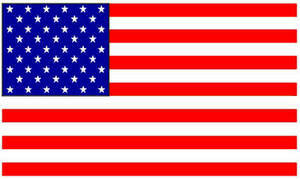 Description: Free clipart illustration of a U.S.flag. The flag shown in this illustrations is completely flat. This is a low resolution graphic. WP Clipart.